I must have read my devotional at least three times, before its words even began to break through the barrier created by the silence in my head. One would think that if you mind is in such a quiet state, it would be free to absorb whatever information you try to put into it. Perhaps, if it’s truly empty and not just masquerading as such. Instead, in my case, “empty” is merely hiding behind a mask of silence. A silent facade, holding in dark moments from my past. My routine is that I read my devotional, look up the scripture with my You Version app and share on Twitter and Facebook. On Facebook, I select one of the scripture references and create an image with it. I then share an abridged version of the part of the devotional that spoke to me that morning. 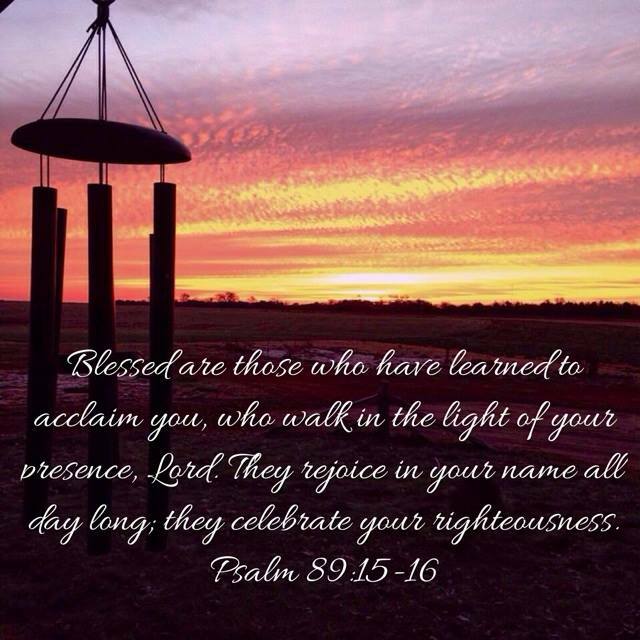 This morning it was Psalm 89:15-16, the devotional itself reminding us to stay close to His Presence. To relax in it, to allow our mind to be molded, our heart to be cleansed. To remember when we keep our focus on Him, every moment can be precious. I was not finding that peace this morning, my heart and mind were fighting with my dark and silent past. I then set here looking at the three sections of my Prayer Board, lost as to where to even start. Normally God just places on my heart a starting spot and I then just move around the board until everything is covered in prayer. I didn’t know where to start this morning, my mind could barely form whole thoughts. Broken fragments of nonsense were bubbling to the surface, finally forming tears. I immediately jumped back on Facebook and asked the women in my Bible Study to pray for me. Then I headed to the one place where I can talk to God when I feel this lost, where I can cry out, even sob to Him and pray that He could get me through this particular moment… my shower. And before you utter “TMI” understand that this has been my safe spot since I was a very young girl. When I was growing up and my father was abusing me, the bathroom was the only room in the house with a lock on it. I would come home after school and take my homework into our bathroom, lock the door and feel safe, at least for the moment. As an adult, I still retreat to this small quiet room; to be alone, regain composure, to pray… Sometimes, it is in the shower, where the sound of the water can drown out my tears. Where the wall often holds me up as I sob uncontrollably. But just as the water washes away, falling down the drain. So do my tears, they are just gone. The ugliness, sadness, anger, fear, all of it; is gone too. I can step out, feeling a sense of calm, renewed, re-energized; suddenly able to take on the rest of my day. I promise you that the only reason I am able to do this is because He hears me as I cry out to Him in my desperation. He hears me as I cry out and ask Him “Why”? He listens as I repeat everything on my heart that He already knows. He listens and He gives me what I need to move forward. He provides me with my immediate needs and quietly whispers that He is taking care of things. As I was crying in the shower this morning, I realized that I am still worried about money and my finances. I do have a part-time job now, but how in the world am I going to take care of myself and my child on a part-time salary, not to mention catch up on months of unpaid bills, which include months of rent. He knows all that, He knew before I uttered one word, shed one tear. I continue to read from Max Lucado’s “you’ll get through this”. The story of Joseph and all that he went through; sold into slavery (by his own brothers, mind you), thrown into prison, and all the ugliness and hurt that came along with it. He never gave up, because he knew God had something better planned for him, even as a young boy, he believe it. Today, after a good crying session, I once again believed it too. We are all His children, and He, only He is in control of our ultimate destiny. You’ll get through this. It won’t be painless. God will use this mess for good. As I write this my heart is good again, the silence has left my thoughts free to move around in my head, as they see fit. I can concentrate once again. I was able to read from the two books I am currently reading; including being led to some very appropriate and encouraging scripture. 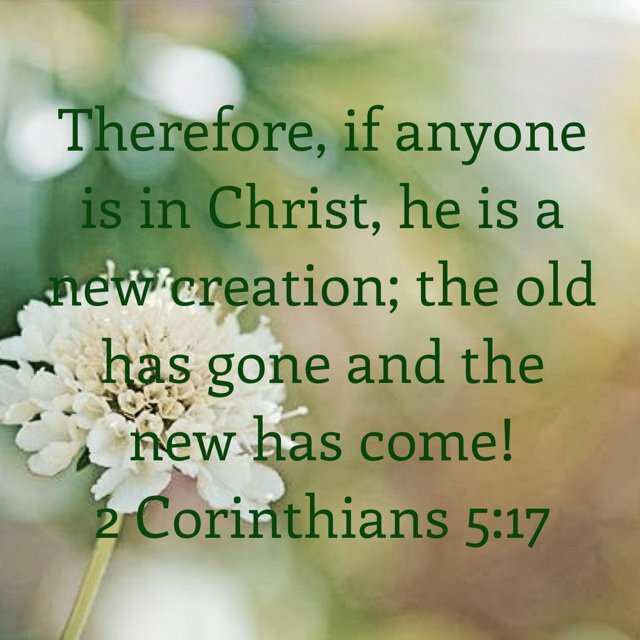 Thoughtfully reminded by 2 Corinthians that once we become a part of Christ, we are His, not just for a little while, but always His. Praise: Thank Him completely for forgiving you, cleansing you, changing you. – Repentance: See the foolishness of anything that perpetuates old sin patterns, and by His Spirit walk away. – Asking: Ask for freedom, for release, for the ability to detect lies and embrace truth. – Yes: Because you, by His resurrection power, can now walk a new way of life.